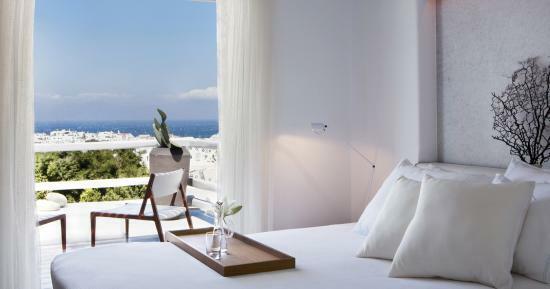 Only a 10 minute walk from the Belvedere Hotel, this Pied-à-Terre accommodation is strategically located on the boardwalk of the iconic Little Venice neighbourhood in the historical centre of Mykonos Town. 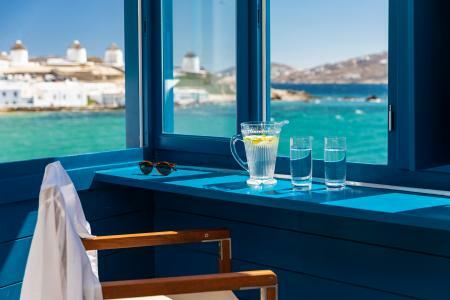 With the privilege of being on a very short list of historical accommodations, this understated luxury unit literally touches the water, in the most photographed area of Mykonos. 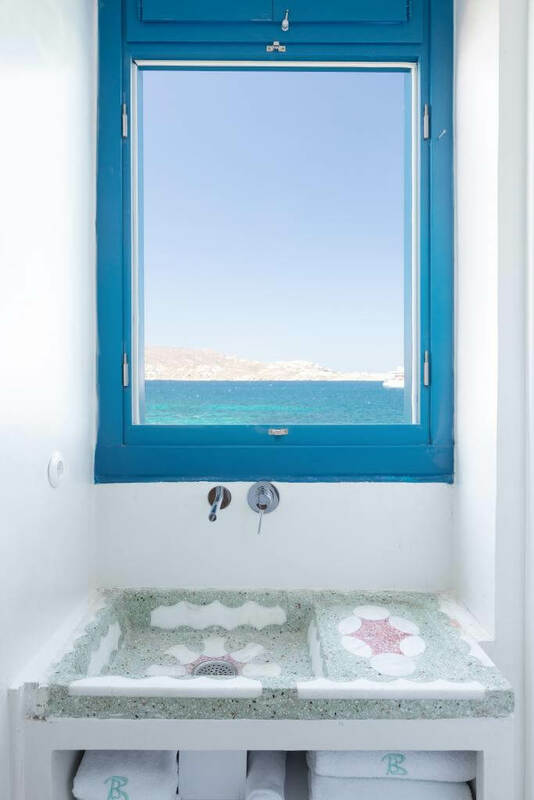 This beautifully updated property, originally built in the 1800s, offers stunning 180 degrees views of the Windmills, as well as direct sunset views to Delos and Tinos islands. 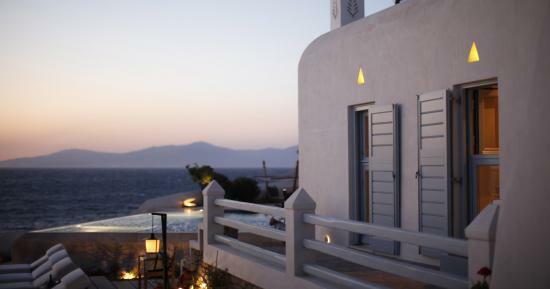 Wake up to the sound of waves and the Aegean breeze and witness from your patio the awe-inspiring sea view. The excellent location creates the ideal feeling for an unforgettable holiday. Leave the car and traffic behind, as this residence is at walking distance from everything you need; top brands, galleries, bars and restaurants in the heart of Mykonos Town. Moreover, only moments away from the Belvedere, you can always enjoy all the hotel’s facilities such as valet parking, access to the pool club, as well as our gym and spa. 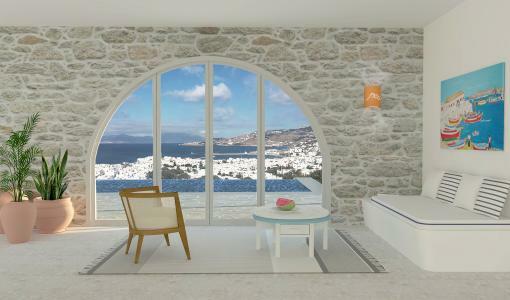 Imagine waking up in this luxurious apartment and being so close to all Mykonos famous landmarks and shops. Walk around and get to know the essence of this beautiful island!